Congratulations! You’re getting married and the date is set! Now what? There’s a long list to be followed; a diet plan, vanity bag, bridal wear and all that bling for that perfect day in your life. But what every young bride is the most worried about is, HER SKIN! Our face is a true depiction and reflection of how our body is from inside. We invest in Beauty Products for our skin, hair, nails and on diet plans, but what we cannot buy is the young healthy look on our face that is only achieved with a healthy diet regime, because our face reveals what we eat. So if you’re a bride-to-be, scroll below! The orange and red in most of these foods is due to beta-carotene, an antioxidant that converts to Vitamin A in your body and switches on DNA that’s in charge of producing new skin cells and losing old ones. A regular regeneration of new cells keeps the skin smooth, fresh-looking and tolerant to irritants and damage. In addition to that, Beta-Carotene plays a role in finishing up free radicals that cause DNA abnormalities that can cause wrinkles. So, do include dark leafy vegetables like spinach, carrots, sweet potatoes and tomatoes in your diet for a smoother skin. Lean Beef and Fortified Cereal are loaded with zinc and iron, and they help in collagen building and cell production. The zinc is known for its anti-inflammatory properties and is known for reducing acne. According to dermatologists, because both zinc and iron are key to cell production in hair follicles, a deficiency of either nutrient could also cause hair to thin or even fall out. Moreover, zinc and iron benefit the nails as well. Go for low fat milk, cheese and yogurt as they are a source of Vitamin D, but also protects your teeth against cavity. Vitamin C activates the collagen generating cells, which are under the skin’s surface. The healthier ones structure of collagen is, the firmer and smoother your skin looks. And, because collagen supports the walls of blood vessels, if one has extremely low levels of vitamin C, it can result in bruising. 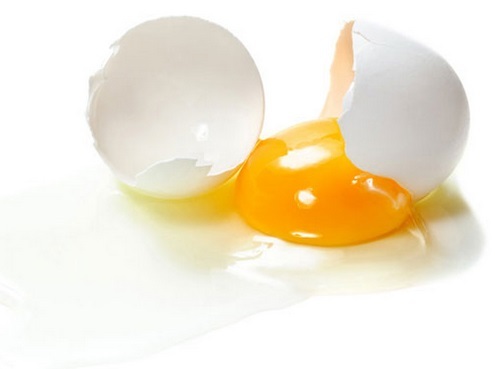 Sulphur is one of the vital ingredients in eggs and it aids in absorbing Vitamin B to the liver. Moreover, it helps to produce collagen and keratin which creates shiny tresses, and makes your nails stronger! 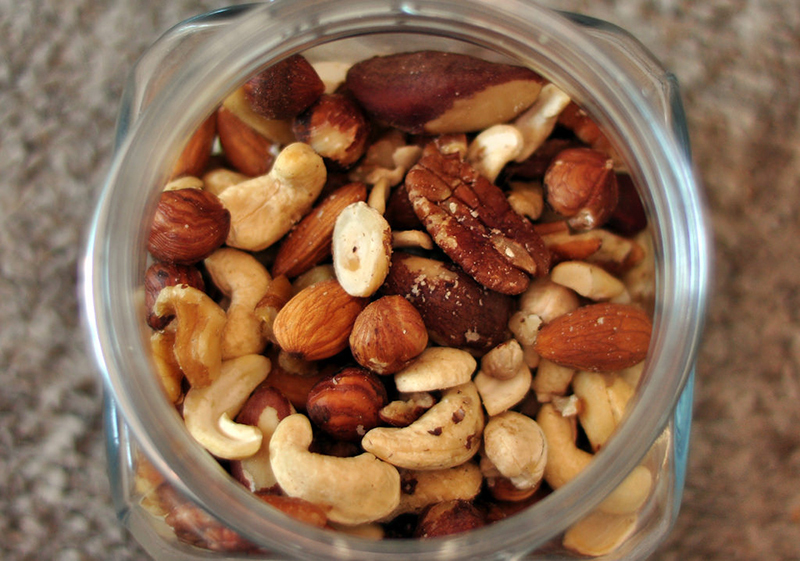 Nuts are also high in biotin, and are excellent to include in your diet if you’re vegan. They’re an easy, portable snack that you can munch on throughout the day. Just ensure to exercise portion control. Wanuts are your best choice. Not only are they high in biotin, but they also contain the highest levels of omega-3s. The simplest and least expensive way to keep your skin looking young is by drinking water, and lots of it. Staying hydrated flushes toxins from the body and gives your skin GLOWING! Just avoid drinking lots of water while consuming salt, though. Salt helps you to retain water and can cause bloating. The good news is that drinking plenty of water keeps you full, so that you’re less likely to overeat. Remember to keep a water bottle with you when you’re out and about so that you remember to drink. So, the best way to stay healthy, both on the inside and outside is to eat a balanced diet of real, wholesome foods that can pave the way for a radiant skin. After all, YOU’RE GETTING MARRIED. Adding these foods to your bridal beauty diet will have you both looking and feeling great for your wedding!